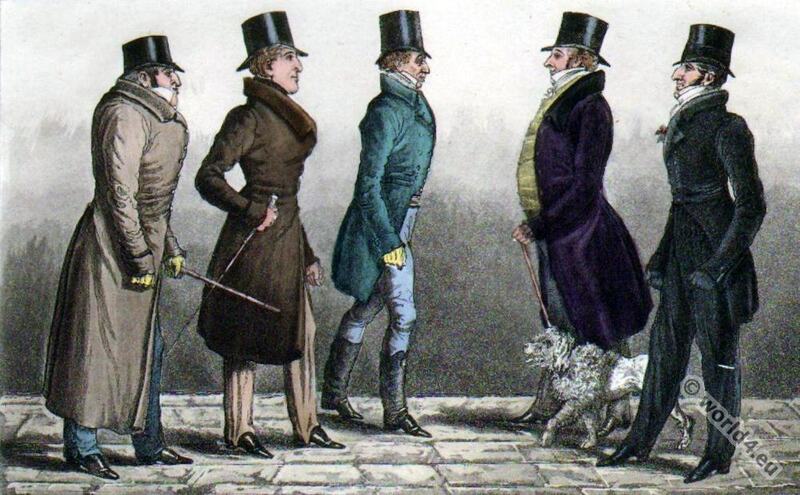 Well known Bond Street Loungers in 1820. Home » Well known Bond Street Loungers in 1820. From left: The Earl of Sefton, The Duke of Devonshire, “Poodle Byng”, Lord Manners, The Duke of Beaufort. Tags: Regency period. Georgian Fashion. Dandy Clubs – Dandysme. This entry was posted in 1820, 19th Century, England, Georgian period, Regency period and tagged Dandy, Regency period, The Reminiscences and Recollections of Captain Gronow on 2/27/15 by world4.